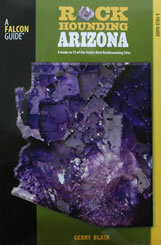 "A field guide to some of the state's best rockhounding sites!" A 6" x 9" paperback with 219 pages, descriptions, maps and photos. Second edition.